At the end of September my friend Emma is running a coffee morning to raise money for Macmillan Cancer Support. A special event at her coffee morning will be a raffle of lovely handmade items made by local crafters. Raffle contributions were asked to have a kitchen theme. I drew a blank on what to make until I saw this quick, fun tutorial that Jeni Baker featured in her latest newsletter (I definitely recommend subscribing. It’s a great read). 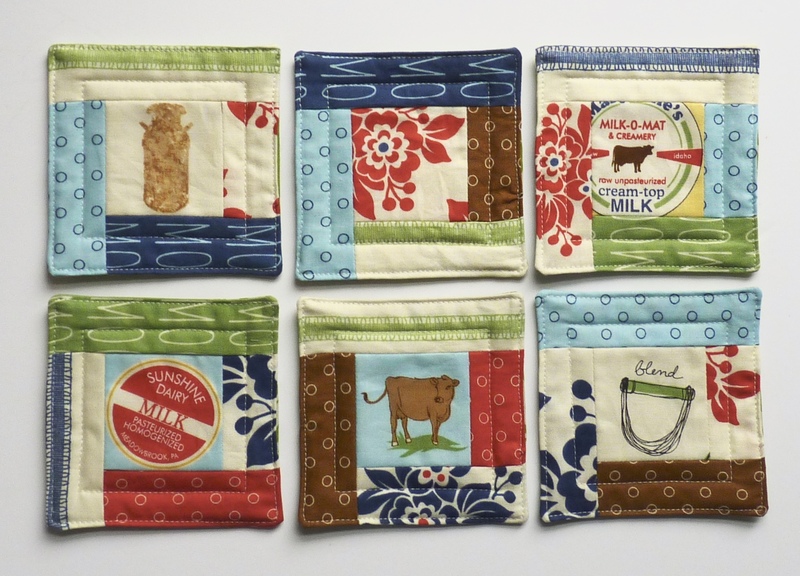 This set of six cute coasters was made entirely from scraps from an earlier quilt. The only change I made to the tutorial was to fussy cut the centre squares thus highlighting a kitchen related image – the fabric collection is called Milk Cow Kitchen (Moda) which explains the pictures of cows and milk bottle tops. 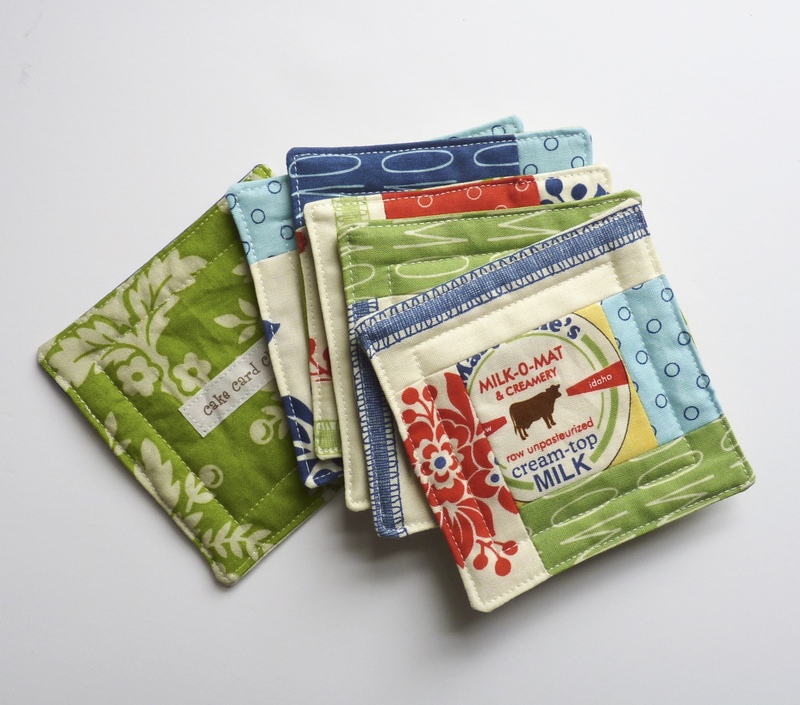 These sweet coasters would look fab in a county kitchen or a rustic kitchen or any kitchen really. To be in with a chance of winning these or any of the other lovely prizes, check out Emma’s Just Giving page and help support this worthy cause. Good luck! Thank you, Sam. These coasters are a great way to play with scraps and make something pretty at the same time.